This is the core course of study for the Academy. 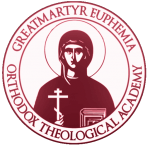 Comprising two years of full time study, with summers off for seminars, this program thoroughly prepares the student for diaconal ordination, seminary studies, teaching courses at the parish level, and person-to-person evangelism. This program also prepares the prospective priest for excellence in pastoral work – a unique feature to the Academy’s theological education. The program consists of the following courses, and is completed over 4 semesters or two years. Do you only want to take one course, or two courses, at a time? Our Non-Diploma Program of study is what you are looking for.